Trolls and cyberbullies are rampant on the Internet. Cyberbullying and internet trolling are both forms of online aggression or cyberharassment. 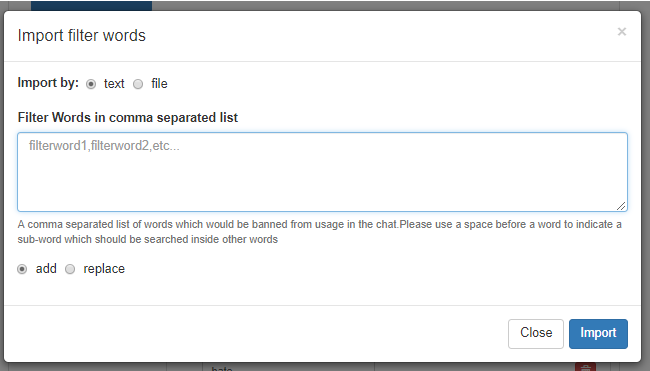 So, we introduce to you our new filter words interface, so you can block words and profanity in your chat rooms! Yes, we’ve added this feature because we see that our users need it more than ever. For motivation – This is so people would come back to your website. Because of the above reasons, they now have more reasons to come back. 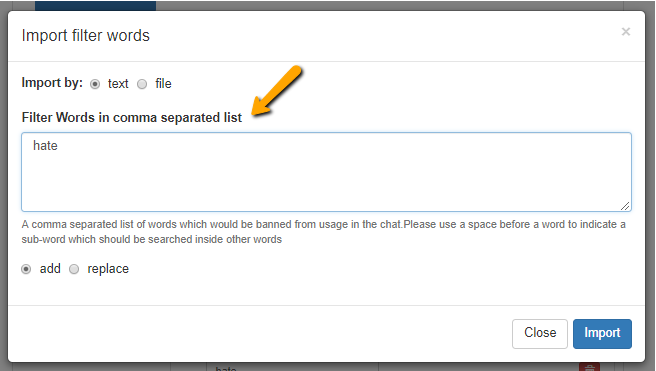 I will show you how you can filter words instantly in the filter words feature. Here’s a quick guide you can follow. 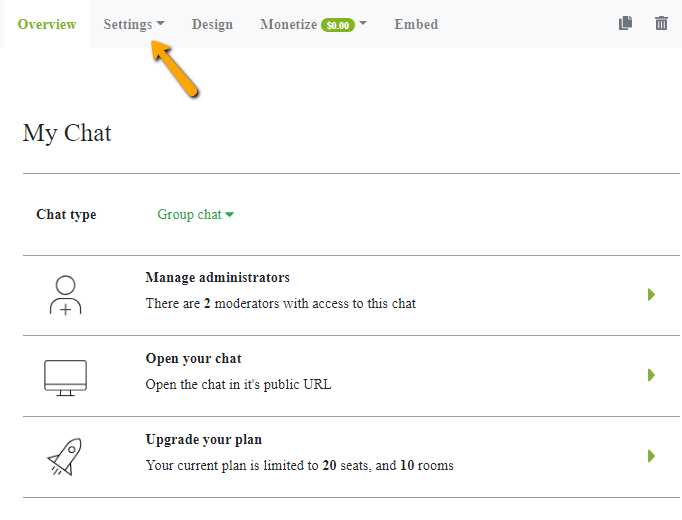 In your admin panel, you will see the Settings button. Click it to proceed. You will find the filter words feature in the Advanced section. You will now see the filter words feature. In there, you will see three options. You can add word, import, or export. That’s it! You can now filter/block words instantly with this new feature! You don’t have to stress yourself out with the trolls and cyberbullies. You can minimize their effect. 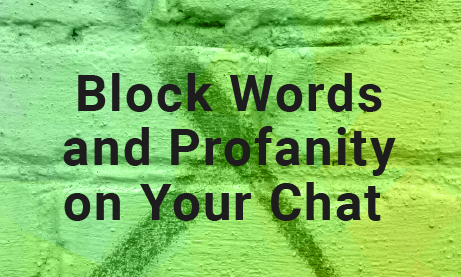 Just be precise in what words you’d like to block in the chat and you’ll have no problem! What are the options for filtering words? Previously, you can only use a text box where you can add words separated by commas. Add manually in the text box, and then check if you want it to be blocked. Note, the checkbox next to each word can be checked for “partial match” so if the text is being typed in a sentence it will be blocked. 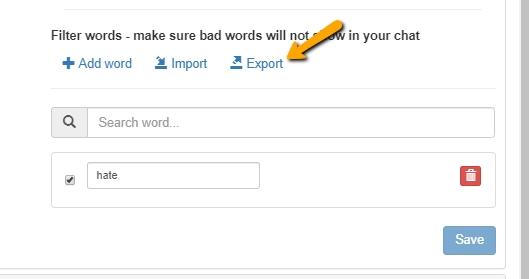 Import – You can import a .txt or file with a list of your wanted blocked words. Also, you can use the previous technique in here by adding filter words in a comma-separated list. Export – Here, you will see the words you’ve currently blocked. 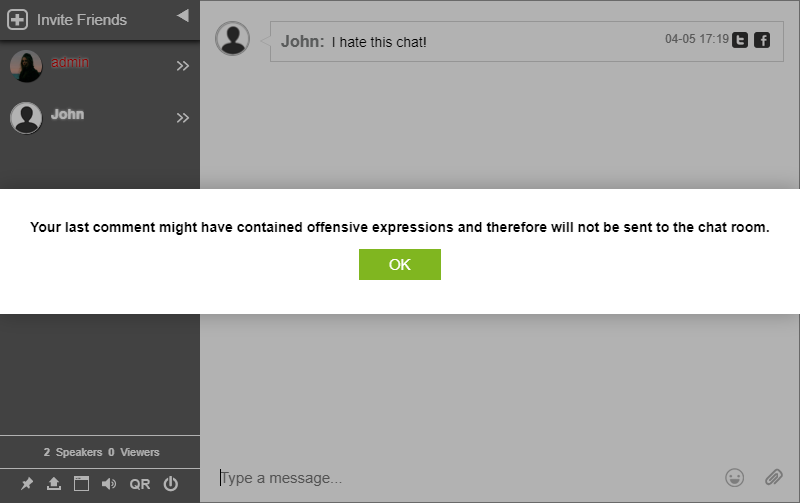 After choosing a word to be blocked, any instance of it being said in the chat room will not be sent. Here’s an example of how it would look like. 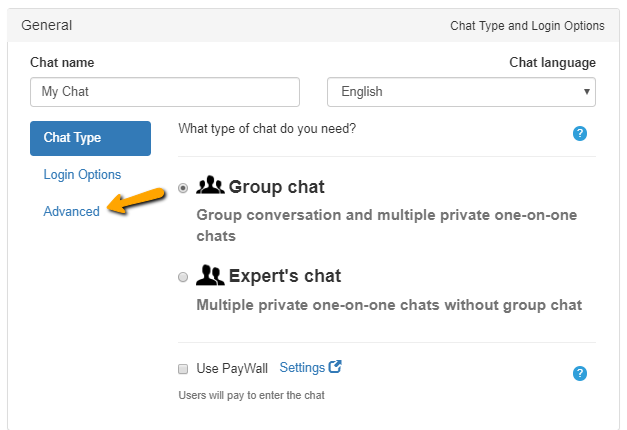 Making your chat safer is easier when you have an auto system to guard every message. If you want us to update more of our features (or maybe an idea for a new feature), then hit us up on our social media websites: Facebook and Twitter. Previous postEasy Tool for Online Therapy and Online Counseling?